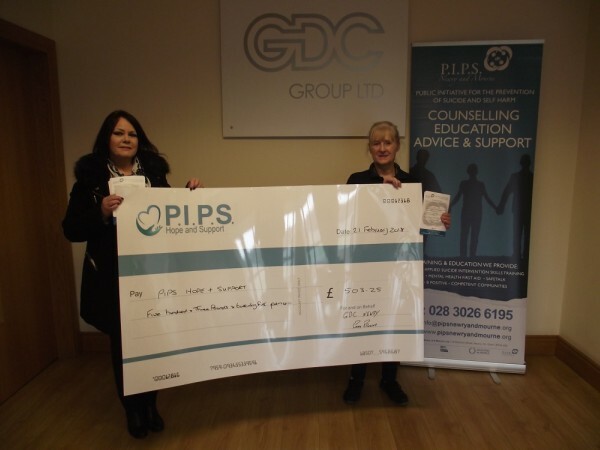 Thank you to GDC Group NI, Newry for their very kind donation of £503.25 in support of PIPS Hope and Support. GDC raised their funds by recycling by products from products manufactured on site. GDC Group NI, Newry is a full manufacturing plant that purchases raw material and produces over 400k of finished products per year.